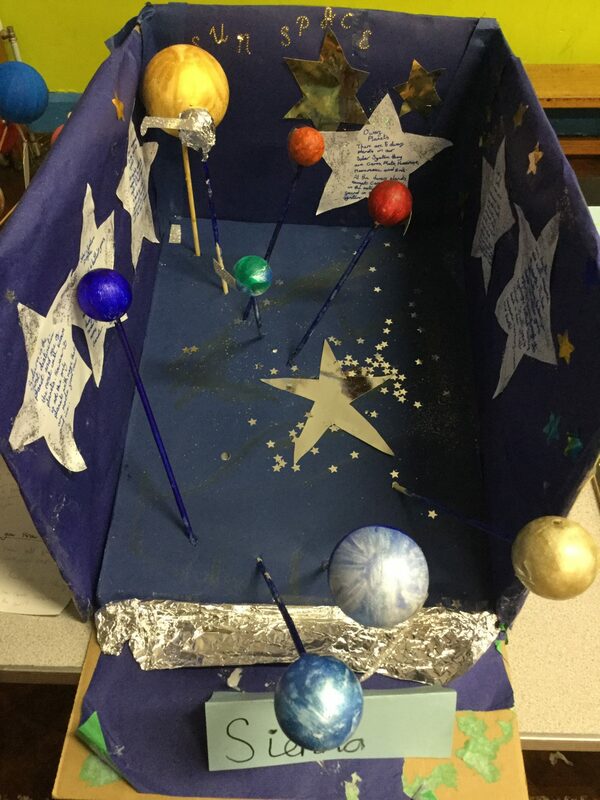 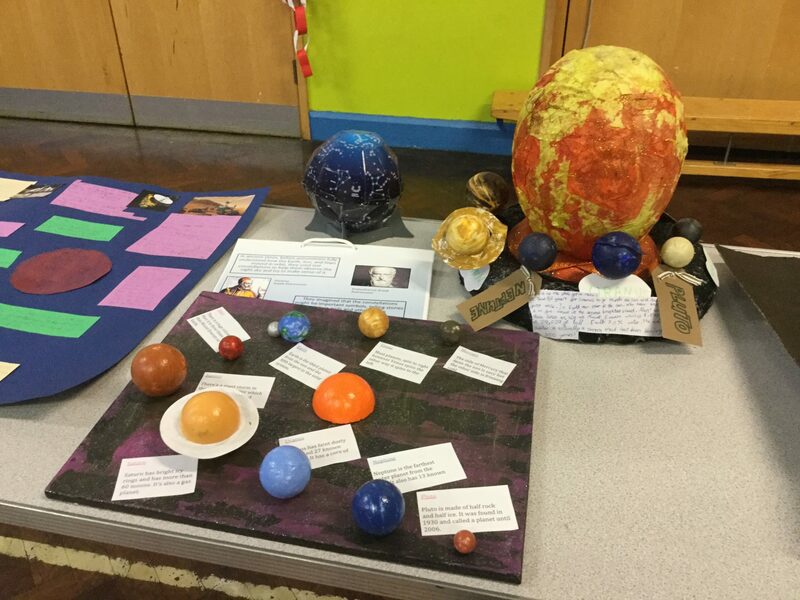 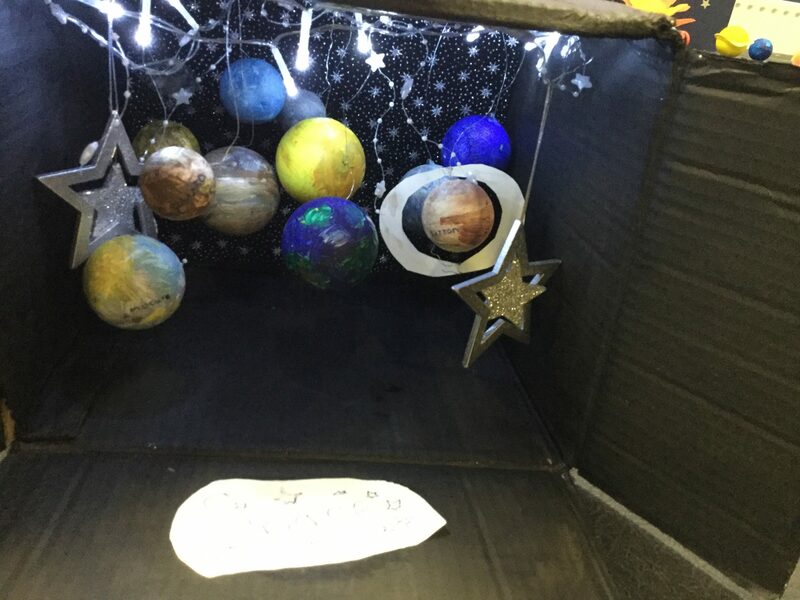 Holy Trinity Junior School | Incredible Year 5 Space projects!! 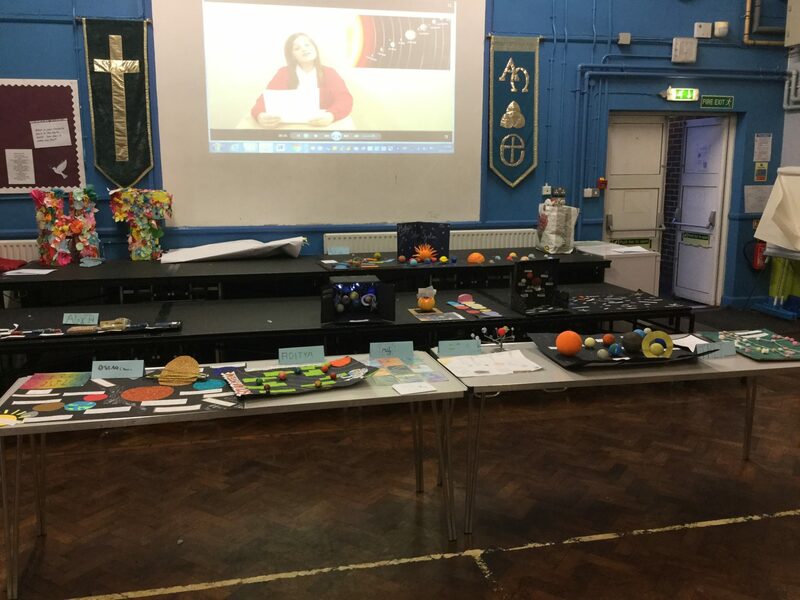 23 Nov Incredible Year 5 Space projects!! 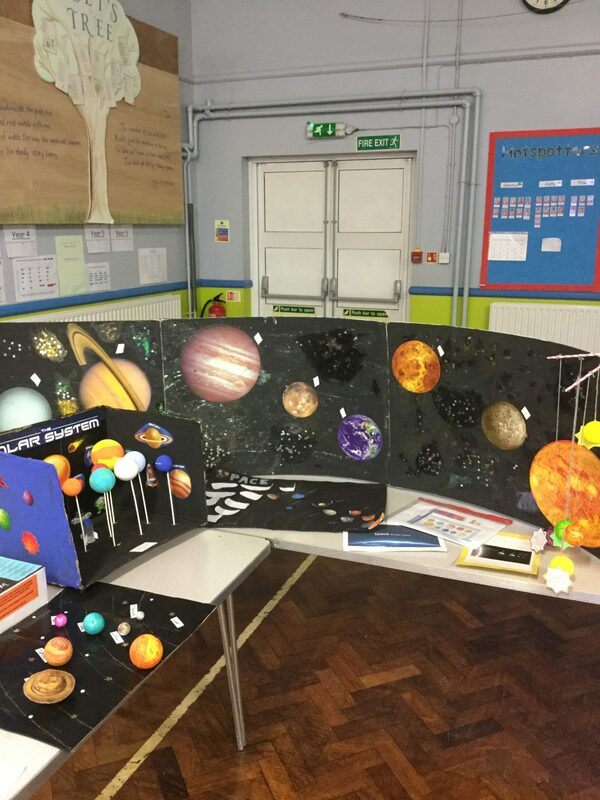 Year 5 were given the fun task of creating a Science project all about space!! 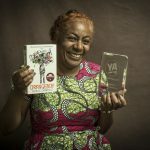 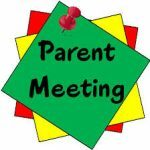 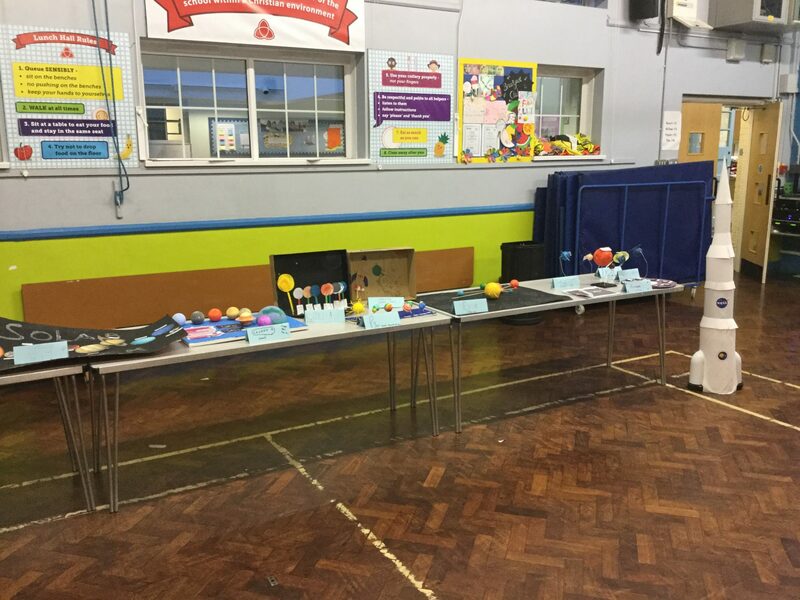 We said to the children that they could present their projects however they wished but they must use their creative and imaginative minds to help them with the process. 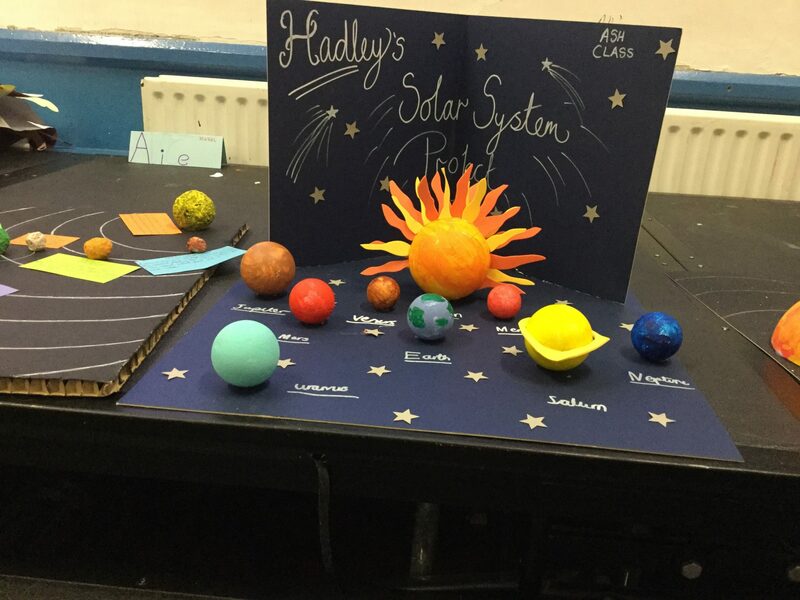 As the projects started arriving into school, we were incredibly excited to see the time and effort that had been put into creating their unique assignments. 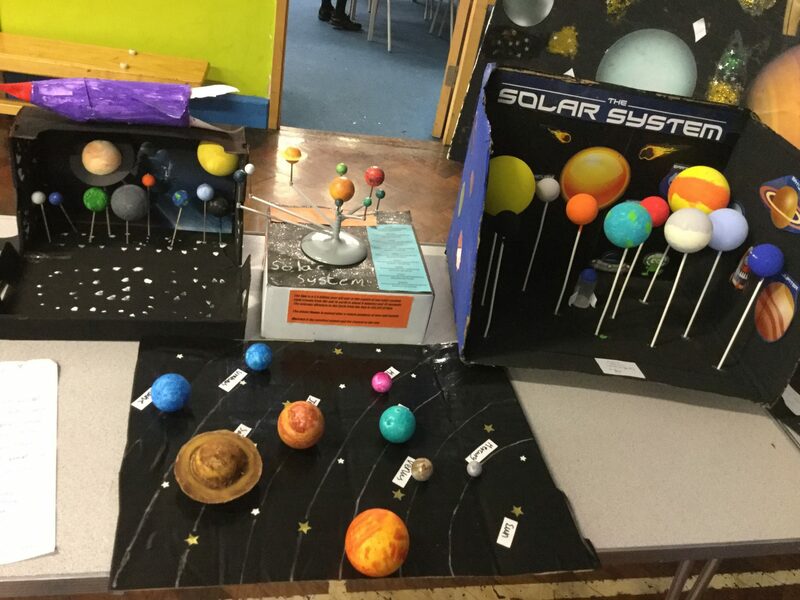 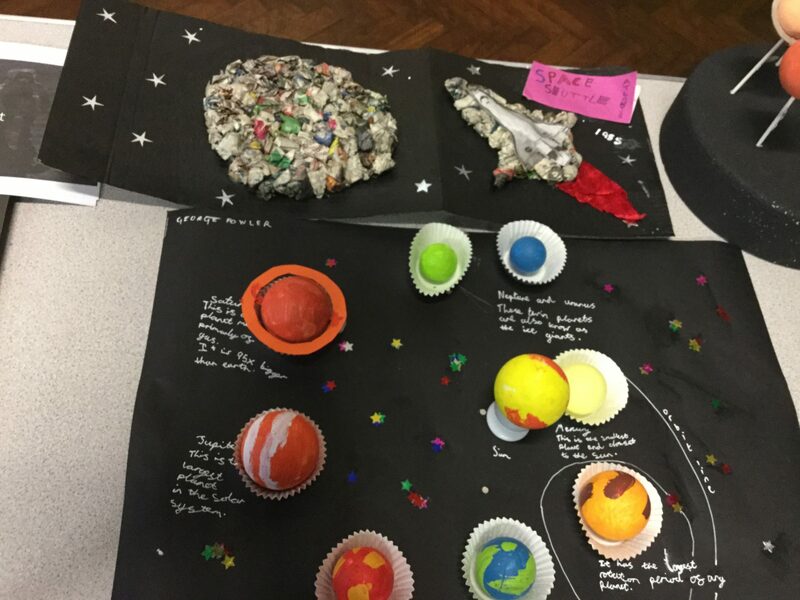 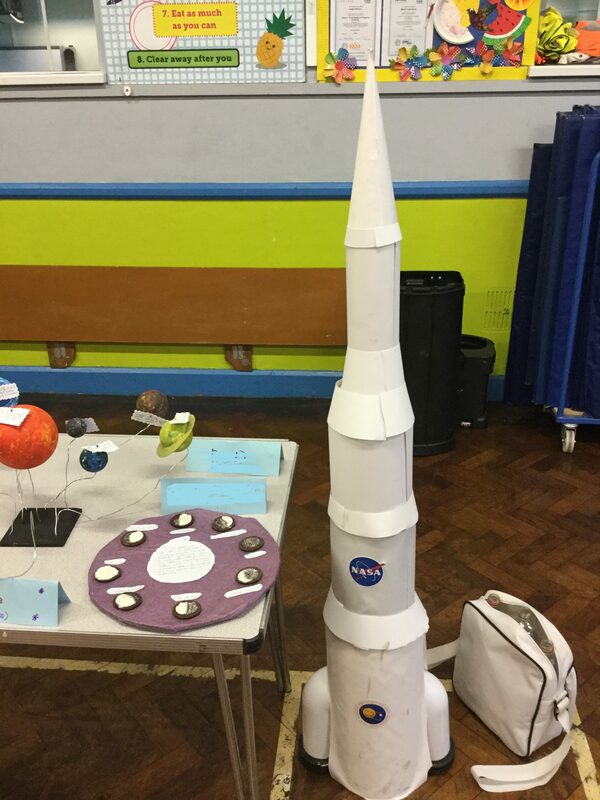 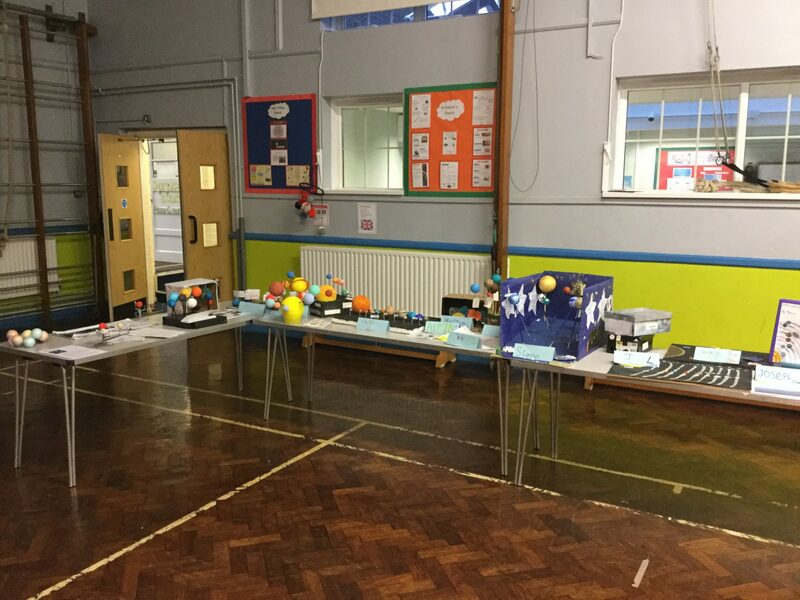 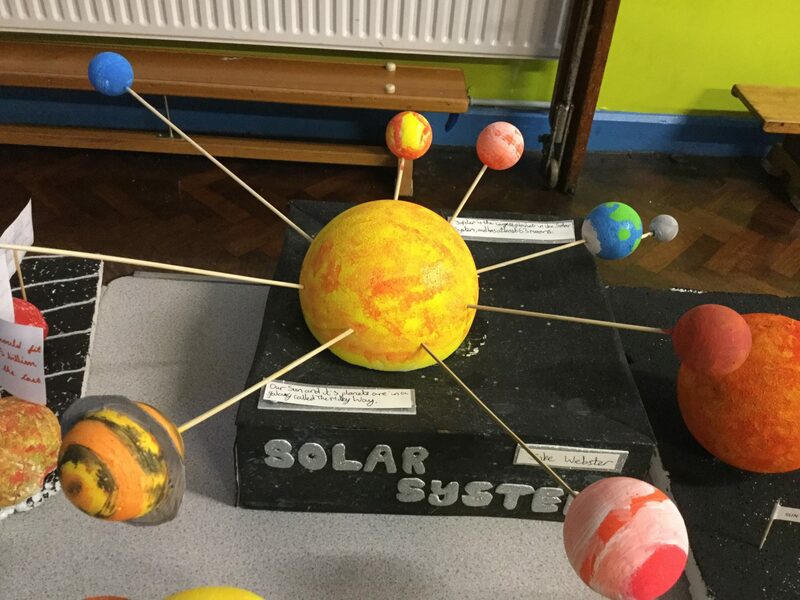 We had models of the solar system made out of polystyrene balls, star constellations made from sweets, homemade rockets and many many more amazing ideas!! 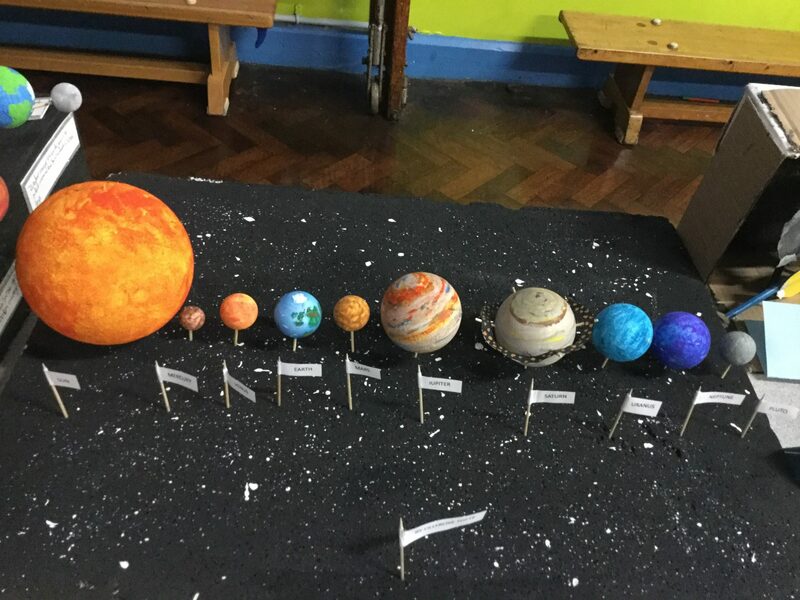 Well done Year 5 and we’re so proud of you!